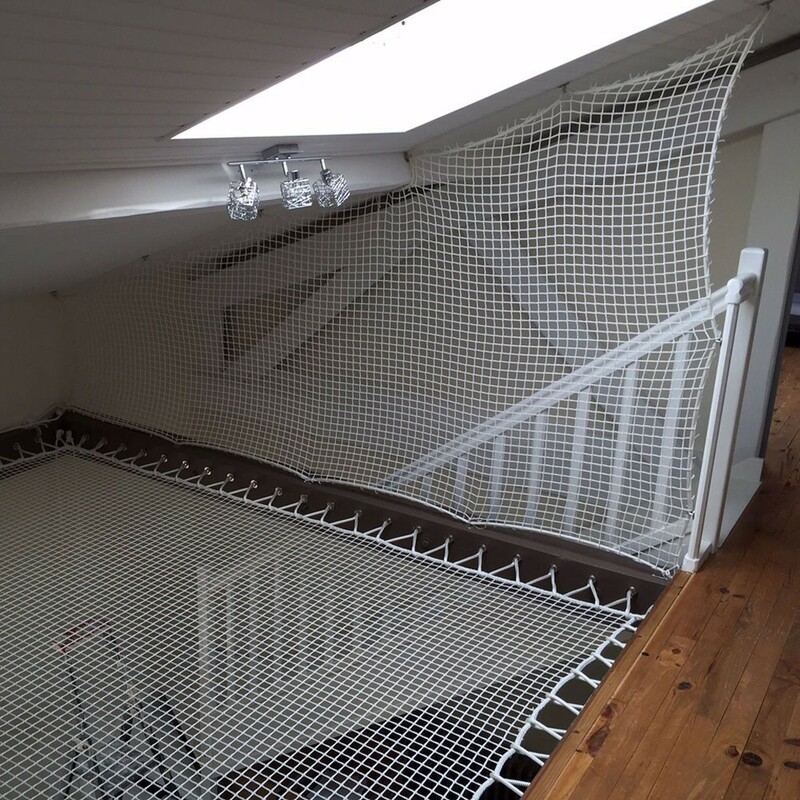 Using a net to protect your stairs is an ideal solution. 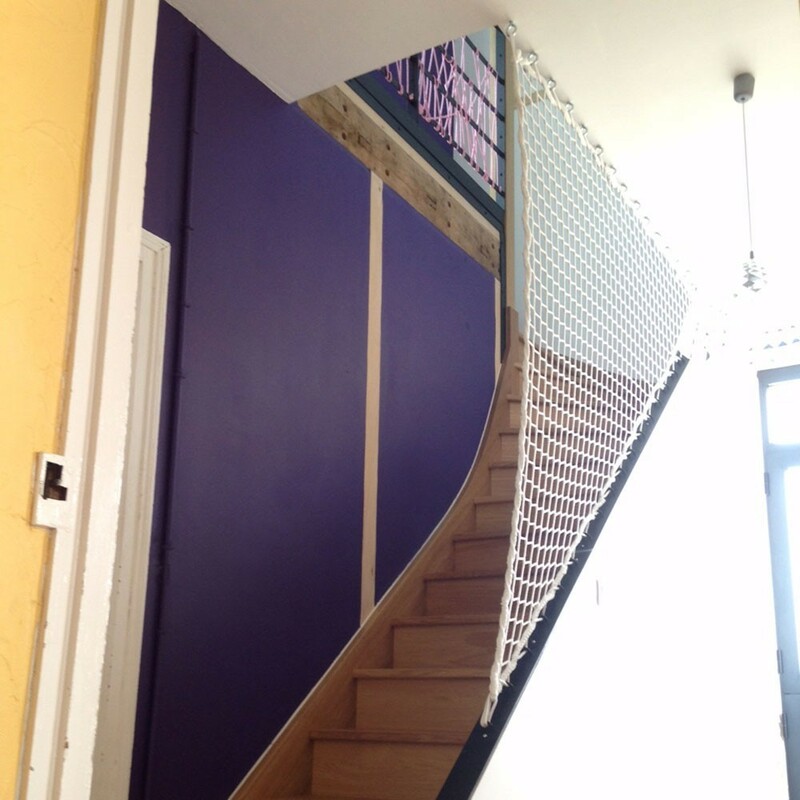 More and more of our clients are contacting us to order vertical nets to prevent falls or as railings for their stairs. These nets can be placed inside or outside, as they are protected from UV light and offer excellent durability. 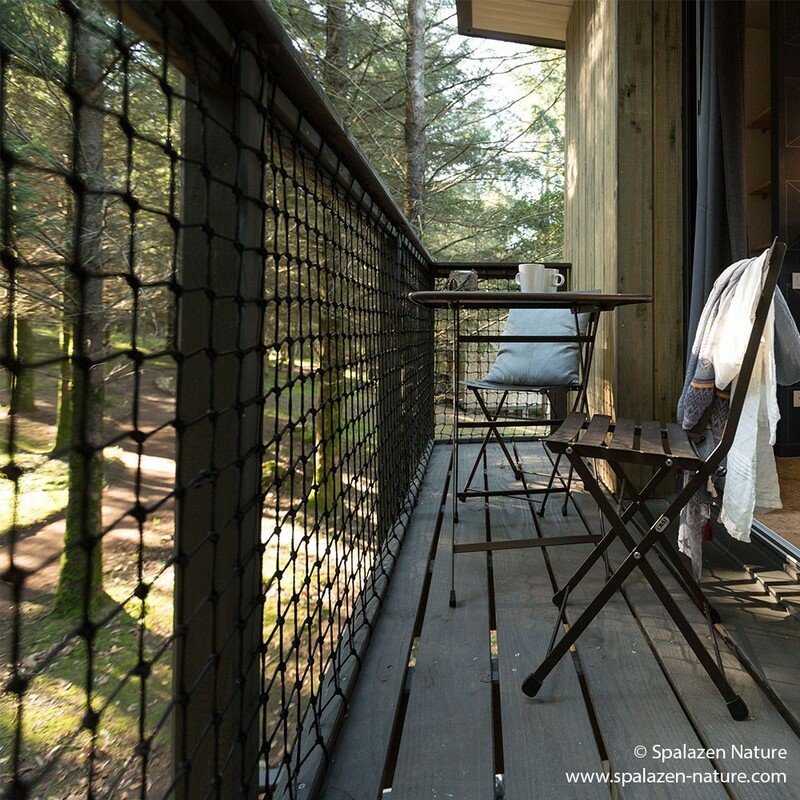 - The net is made-to-measure depending on the space, shape and use. Several types of netting are available : braided or knotted. - Braided netting is generally used for horizontal nets as the netting has a soft and confortable surface for lying down or relaxing, whereas knotted netting is rougher therefore used for vertical nets. 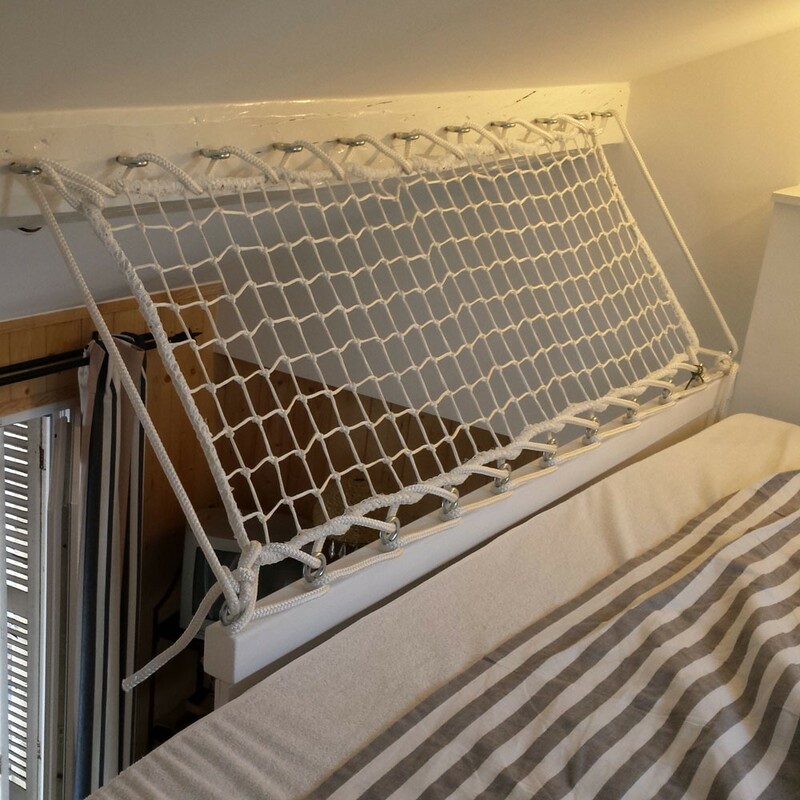 - For quick and easy installation, it is better to order a net without a bolt rope (6 mm in diameter rope around the net). 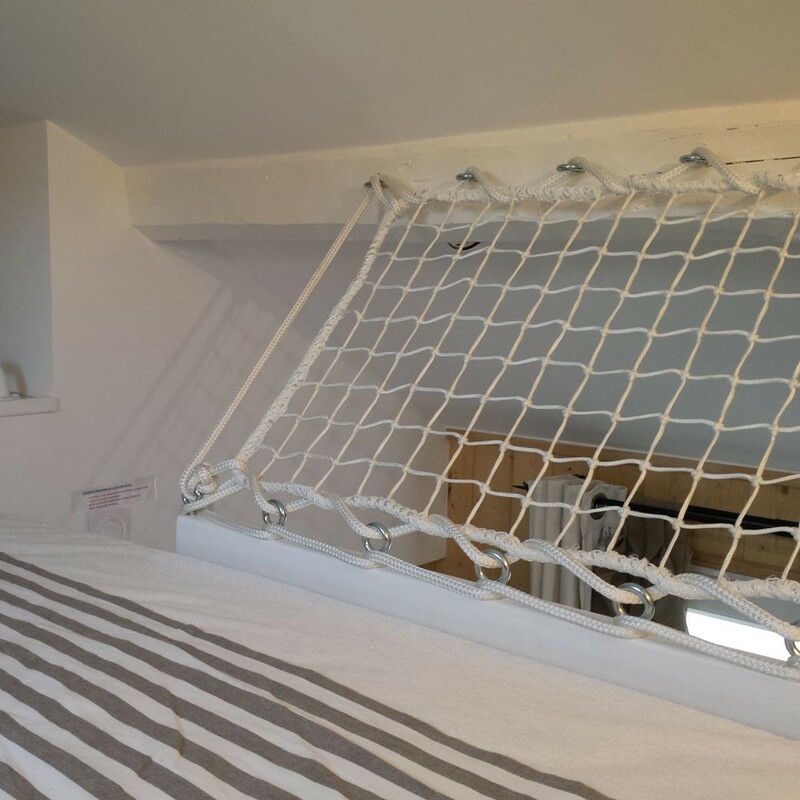 Without the bolt rope you will be able to cut the net to size with a pair of scissors and then place the netting onto hooks, that we can provide, that is to say stainless steel hooks. - It is essential to fully stretch the net, so that when you place your hand on it, you feel some resistance. This also makes the net visually more appealing as the squares will be evenly placed. Obtain your on-line quotation in only a few minutes ! 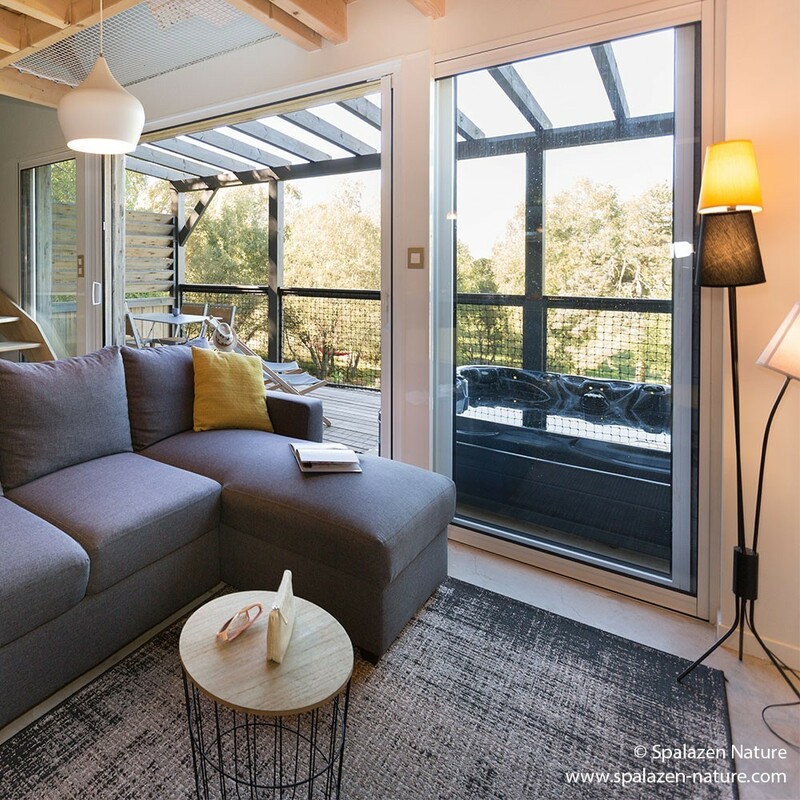 Taking into consideration the measurements of the space you need to fill.